Drivers everywhere are starting to see how exceptionally versatile small hatchback vehicles are, but the model that is catching everyone’s eyes is the 2016 Honda Fit. 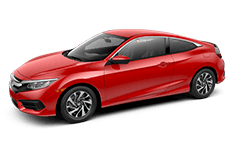 This sporty hatchback is the answer to all of your problems – at least the problems having to do with parking, carrying various configurations of cargo and people, and paying high prices for gasoline. There are several different models of the 2016 Fit available now at Brandon Honda in Tampa, you will have no problem finding that one was meant for you! 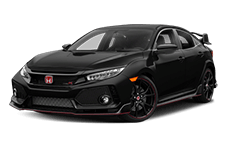 Our Tampa Honda dealership has the new Fit hatchback as well as a wide selection of other great Honda vehicles available to drivers in the greater Tampa, FL and Tampa Bay areas. Come down and see us today for a first-rate shopping experience at Brandon Honda and find a new Honda Fit to “fit” your every need! For its redesign last year, Honda gave the Fit hatchback a powertrain and new drivetrains as well, which greatly improved this already peppy little hatchback’s performance. 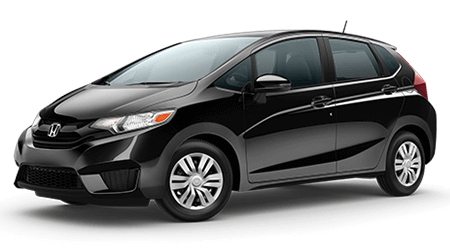 The 2016 Honda Fit is powered by a 1.5-liter four-cylinder that can produce 130 horsepower and 114 pound-feet of torque. The Fit’s new engine is directly injected and features a drive-by-wire throttle system for better power as well as an Eco Assist System with Eco Coaching and an available Econ button for improved fuel economy. On the other hand, we have the Nissan Versa Note. Powered by a 1.6-liter four-cylinder, the Versa Note flounders at the starting line with just 109 horsepower and 107 pound-feet of torque. If you are driving a Versa Note, don’t expect to be passing fast-moving traffic or merging smoothly onto the highway any time soon. The 2016 Honda Fit has the gumption to take on off-the-line starts, merging, and passing and it can do it all without breaking a sweat thanks to its new engine! Safety features in the 2016 Honda Fit include vehicle stability assist with traction control, an anti-lock braking system, electronic brake distribution, brake assist, a tire pressure monitoring system, daytime running lights, front and side airbags, Honda’s advanced compatibility engineering (ACE) body structure, and child-proof rear door locks. You will also find a standard rearview camera with guidelines on every Honda Fit. 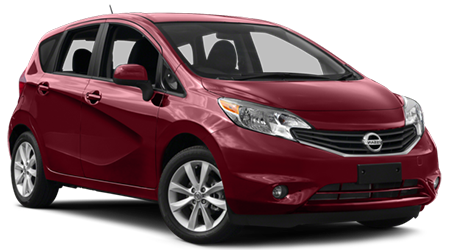 Safety features of the 2016 Nissan Versa Note include an advanced airbag system, roof-mounted curtains, vehicle dynamic control with traction control system, child safety locks, and a tire pressure monitor system. While both of these hatchbacks offer ample safety equipment and systems, the 2016 Honda Fit has better safety scores from the NHTSA than the 2016 Nissan Versa Note. The Honda Fit earned an overall five-star safety rating, earning five star scores in all but the rollover test, in which it earned four stars. The Nissan Versa Note, on the other hand, gets a four-star overall rating due to its marginal three-star front crash score and four-star rollover score. The new Honda Fit was also given an improved front bumper beam that makes it safer in front-end crashes. For a subcompact that is safe and secure, the 2016 Honda Fit should be your choice. Unfortunately for the Versa Note it was built first and foremost to be cheap, while the Honda Fit was built to be affordable. Big distinction, especially when you consider the incredible standard features you will get on even basic Fit LX models. Honda makes its CVT gearbox available as an option on the LX, while you have to mode up a trim on the Versa Note to be able to get Nissan’s Xtronic CVT. Honda also makes a rearview camera a standard feature on every 2016 Fit model, and has since the previous model year; a rearview camera is not available on the Versa Note in its base S trim nor in its S Plus trim. The Versa Note also doesn’t offer standard keyless entry, power door locks, power windows, cruise control, or variable-intermittent wipers on the S trim. The Honda Fit LX gets all of that plus a roofline spoiler, LED brake lights, an expanded-view driver’s side mirror, map lights, a center console with an armrest and storage, steering wheel-mounted audio and cruise controls, Bluetooth, and a 5” color audio display screen. Did we mention that is all standard on the base Fit? Oh, we did? Well, how about that. Come over to Brandon Honda in Tampa, FL and check out the 2016 Honda Fit. It’s miles ahead of the Nissan Versa Note and it hasn’t even started driving yet! Drivers and passengers alike will love the new Fit, so bring the whole family or some friends and head to Brandon Honda to check out the 2016 Fit in all of its hatchback glory!